BENGALURU (Oct 31): Southeast Asian stock markets ended Monday flat as oil fell and uncertainty ahead of the U.S. presidential election prevailed, while a better-than-expected growth in the U.S. economy improved prospects of a Fed rate hike. Federal investigators' new probe related to the email use of Democratic presidential nominee Hillary Clinton shook markets' conviction of her victory in the election. Oil prices continued to fall on Monday, after non-OPEC producers made no specific commitment to join OPEC in limiting oil output levels to prop up prices. The U.S. economy grew 2.9% in the third quarter, its fastest pace in two years, beating economists' expectations. "The third-quarter GDP growth should strengthen the case for a U.S. rate hike by the Federal Reserve," Daewoo Securities Indonesia's head of research Taye Shim said in a note. 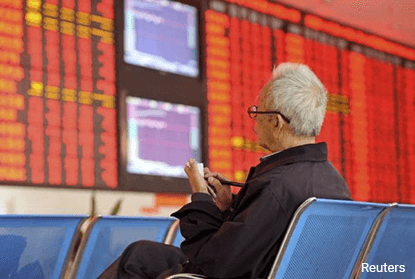 Vietnam fell the most in the region, ending 0.95% down, led by energy and financial stocks. The index, which gained for eight consecutive months, ended 1.5% lower in October. "It's (FBI probe) not a story people here are paying much attention to the way it stands.. I think oil prices were a major factor.. and gas was sold off", said Fiachra Mac Cana, head of research at Ho Chi Minh Securities in Vietnam. were near their six-week lows. Thailand ended flat, as investors shrugged off data showing a 3.5% rise in exports and an unexpected rise in the factory output for the second straight month. The index has risen 0.8% this month, compared with a more than 4% fall in September. Gains in financials and industrials were offset by declines in energy stocks and consumer staples. Thailand's top energy firm PTT Pcl was the biggest loser by index points, while Bank of Ayudhya Pcl ended 1.4% higher. Singapore stocks closed flat, with the index losing close to 2% on the month. Malaysia and Indonesia gained more than 1% on the month. Philippines was closed today for a holiday.